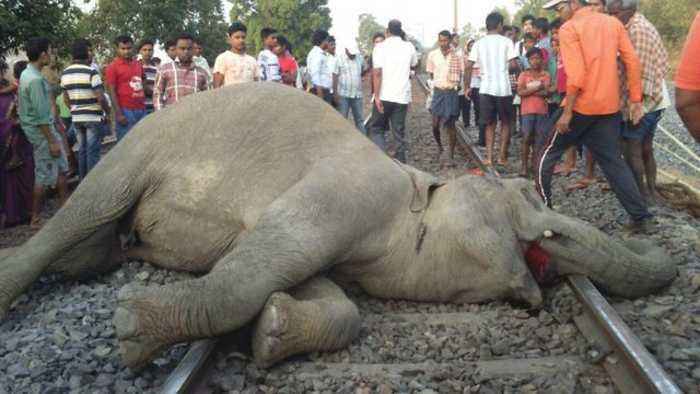 By Taniya Dutta This is the tragic moment three wild elephants and a calf were killed by a speeding goods train while crossing a railway line in search of food in India. 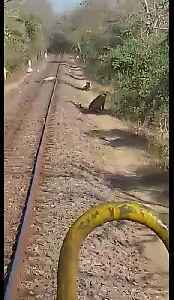 An Indian train driver was forced to stop on Friday when he encountered three lions lying right beside the tracks. 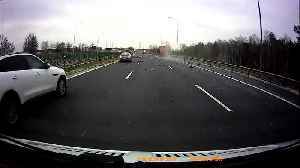 Occurred on March 21, 2019 / Warsaw, Poland Info from Licensor: "My colleague and I witnessed a very dangerous looking accident on route S8 in Marki, Poland. A big truck for no apparent reason turned..
A cow is seen patiently waiting to cross the railway line , the gate was closed and people were waiting for the train to pass by then this cow came and was like everyone else , cow is seen sacred in.. This is the heart-stopping moment a passenger is saved from going under a train in India. 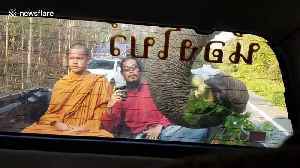 The passenger, who has not been identified, tried to get into the moving Mangala Express in Agra on March.. 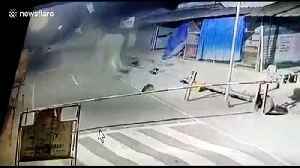 This is the impressive moment a smart wild elephant walks over a checkpoint barrier with ease. 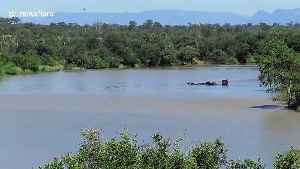 The incident barrier occurred at Padavayal check-post near Gudalore in Nilgiris in South India on March..